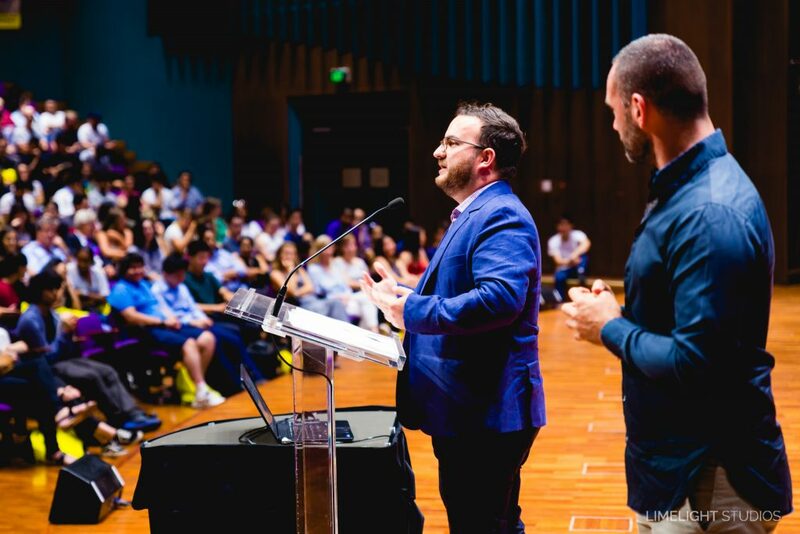 This is a copy of an address I gave to 1700 students at the 2018 Official Welcome to Undergraduate Students at UNSW. Other for the night included Vice Chancellor Professor Ian Jacobs, Professor Richard Buckland. I recently returned through a road trip through India, so I can’t help but think of everything in terms of car metaphors. You are here tonight, on the first night, of the first week, of your first year of your university degree. That is incredibly exciting because you are at the steering wheel of the rest of your life. Give that fact, instead of talking about myself, I want to give you my top 5 tips for going on a road trip. Turns out they make pretty good advice for getting through university too. One thing I’ve learnt from travelling is that it doesn’t matter if you make a wrong turn. You’ll get there in the end. At university many things may not go according to plan. You might not be enrolled in the degree you wanted, it might take longer than you expected or you might get side tracked along the way. It’s okay. You’ll get there eventually. But when you’re on your journey, don’t be afraid to stop and ask for directions. You have amazing lecturers, tutors, and admin staff who are all looking out for you. So ask them for directions, and advice on where you should go in life. They’re literally experts in the field. Equally, it’s also important to make sure you actually want to go to Rome. 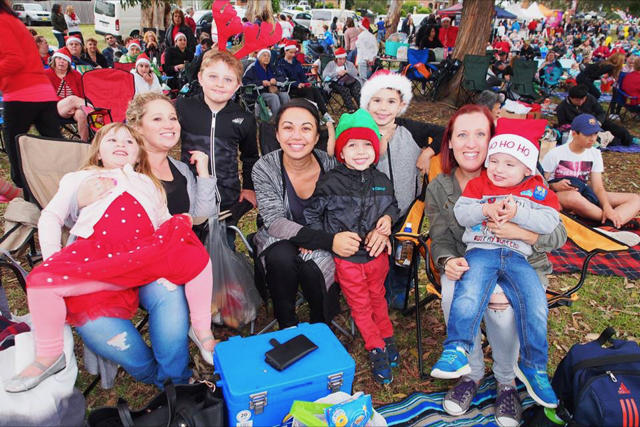 There’s a whole world out there – you could go to Paris, London or New York – or even Dubbo if you wanted to. In fact, you might not realise you want to go somewhere until you start the journey. That’s okay – run with it, and follow what feels right. I studied computer engineering, and although I loved it, it was just one of my many passions and skills. 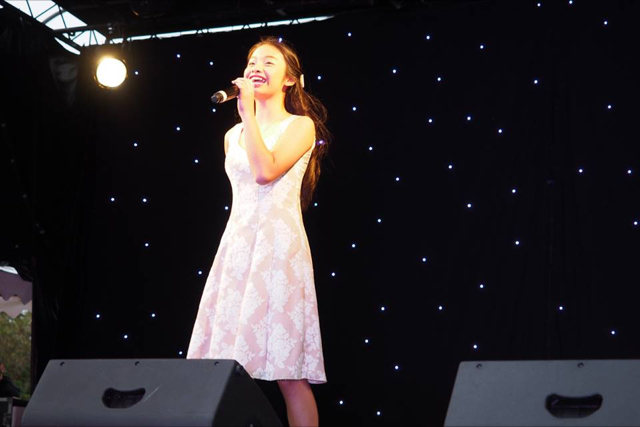 At the time, it felt like I had to choose from all my skills which one I wanted to pursue. I couldn’t have been more wrong. The industry I am in is something I had no idea about until I started uni, and the work I am doing involves a lot of education and outreach – something I’ve had a passion for since day one. However, if I’d never started, I would have never known. 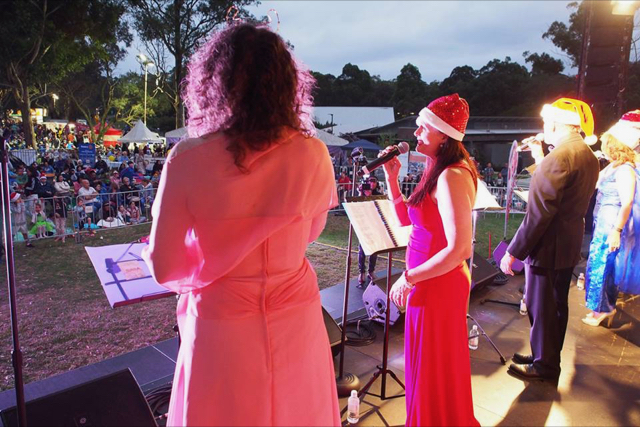 All roads lead to Rome… or Dubbo. Good beginnings are important for a road trip, and especially so for university. 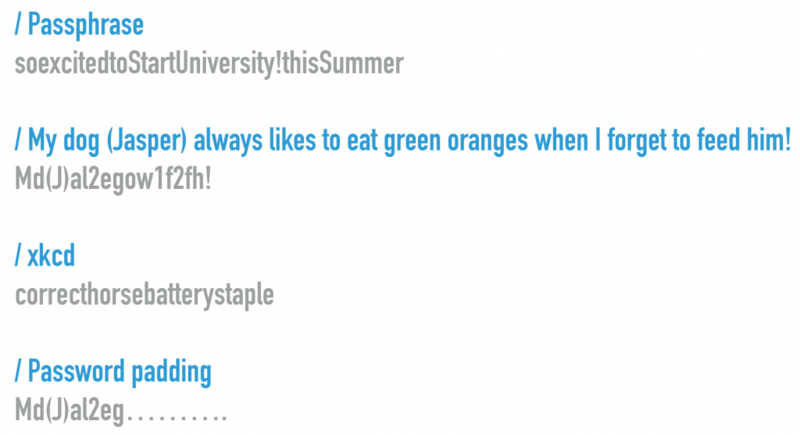 News flash – university is confusing… so get off to a good start. Attend 0-week, get involved in the activities, join a club, and make friends. And do a campus tour – because I still get lost! Make friends while you’re at uni. Making friends is one of the hardest things to do here at uni, but now is the easiest time to do it. I’ll let you in on the secret of how to do it. Turn to your neighbour and say “Hello, my name’s Adam… how weird is this lecturer’s tie?”. Say hello, ask their opinion, complain about an assignment… or a tie. I never did that when I first came to uni, and it made things twice as hard. But its never too late. In second year there is an electrical engineering subject that is notoriously hard, and suffice to say – it was not going well. We were getting a test back, and I saw a classmate make the same face I did. So, what did I do? Well, I hung back and we got chatting. We ended up becoming study buddies and without that I would have never passed that subject. And not only did I pass – but I made a new buddy. So put yourself out of your comfort zone. If you’re a local student, make friends with an international student, and if you’re an international student, make friends with a local student. Do that, and you will have friends all over the world. Tip 4. Enjoy the journey – it’s not all just about the destination. Some of your best memories will be formed at uni – so live it to the full. Don’t just show up to class and then leave. Get involved. Attend a BBQ, join a club, volunteer. It’s incredibly fun, and very rewarding. At the beginning I didn’t get involved much with uni and I wasn’t enjoying myself. Because all work, and no play isn’t much fun at all, and that was what I was doing. 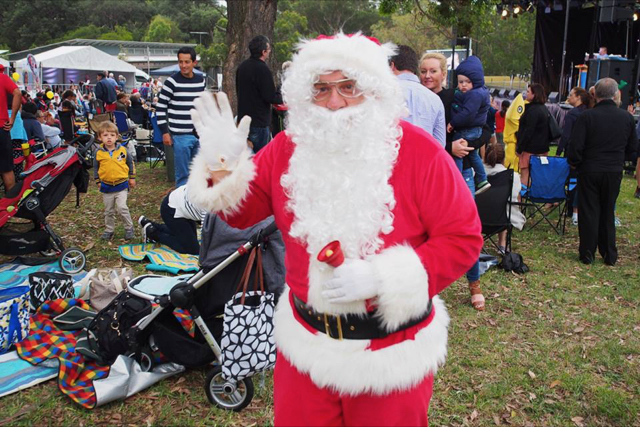 Make sure you take time out to get involved and have fun . 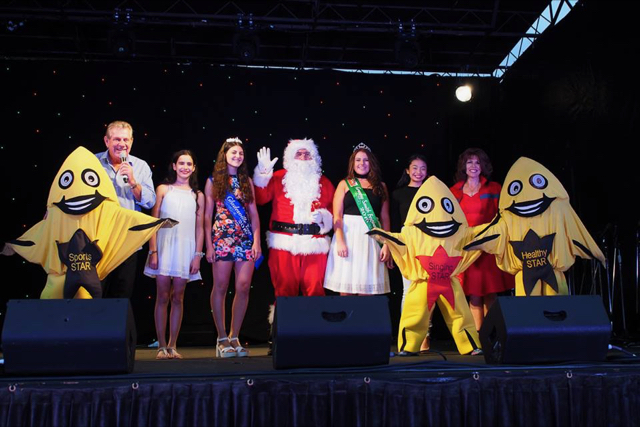 Plus it has benefits too – I helped run an organisation called the Young Scientists of Australia. I got great at talking to people, organising things, and presenting to groups. Turns out when I started applying for jobs – that’s exactly what they were looking for. In fact, if you’re worried that you won’t get the greatest marks at uni, then make your uni experience about more than just marks. In my job interviews, they didn’t quiz my knowledge on computers or ask how many HDs I’d received, they wanted to see my communication skills, and if I could work in a team. Tip 5. There will be issues along the way – and you never have to tackle them alone. Road-trips are long and complicated, and uni can be too. Maybe things won’t be going according to plan with one or more of your subjects, and you fall behind. Maybe you might have difficulties with English. Maybe you just have trouble adapting to the uni lifestyle. It’s okay. You don’t have to tackle it alone. You have lecturers, tutors, classmates – all of them there to help out. The uni is here to support you – there are language services, Academic Study skill support, medical services, psychological and counselling services – to name a few. But its important to ask for help, and to ask early – because they won’t know unless you speak up. So those are my 5 tips for road trips and also for getting through university. And will you succeed? You will indeed! 99 and 3 quarter percent guaranteed! Your mountain is waiting – so get on your way! 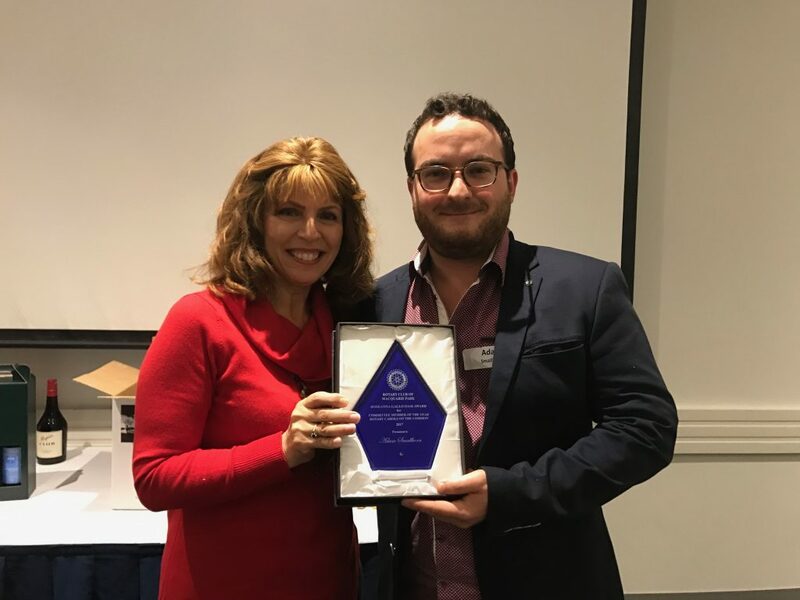 This press release was first published on the sec.edu.au website to announce the awarding of the first SECedu honours scholarship for security related thesis in partnership with the Commonwealth Bank. SECedu is proud to announce Adam Smallhorn as the recipient of the first of our Honours scholarships. Adam will be working on a project that aims to empower users to control access to the data collected by Internet-of-Things devices installed in their homes. Read on (below) for more on the project. 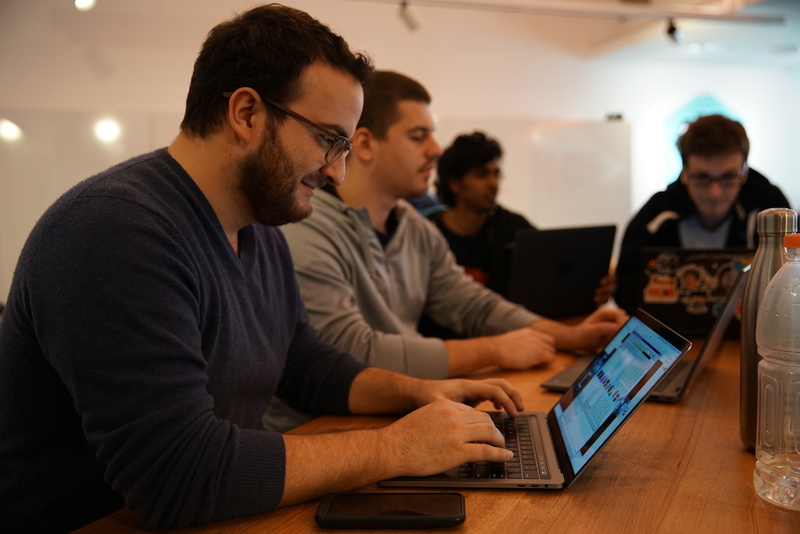 SECedu aims to develop both the next generation of Australia’s cyber security professionals, but also to develop a pipeline of great teachers. Volunteered at the Rotary Youth Leadership Awards, a 7-day leadership program. Adam intends to build a prototype smart home hub that protects personal data collected by Internet of Things devices in the home, based on designs by Ali Dorri and Salil Kanhere. The smart home hub will connect to a global network architecture built for accessing IOT data securely and in a way that respects a users desire to control who has access to their data and devices. “Technology is currently outpacing our ability to secure it,” Adam says. “The lack of security of the ‘internet of things’ has potentially devastating effects for the users of these technologies and for other internet users. “The research is looking at ways to secure the myriad of smart-home internet of things devices that we’re plugging into our homes, but in a way that protects users’ data as well,” he said. At the heart of the network is a free, open and interoperable standard that is not under the control of a single company. The project proposes to achieve this by leveraging distributed public ledger technology to ensure that access control and and requests are routed through a distributed network and immutably recorded. This single hub can control ad administer web access for dozens of less secure IOT devices, which both dramatically reduces the user’s attack surface while also protecting the internet at large against the increase in attacks due to botnets comprised of insecure IOT devices. The prototype – and the thinking that supports it – could equally apply to any use case where sensitive personal data is collected that is of interest to third parties. Modern cars, for example, are often a collaboration between manufacturers and third party producers of sub-components systems – airbags, keyless entry and infotainment systems etc. Data is an extremely valuable asset for all of these organisations as they seek to advance their products. In modern cars, an airbag manufacturer may wish to check safety maintenance data; infotainment systems engineers may wish to check usage stats; end users may grant access to analytics companies for driving insights or even insurance companies to obtain discounts on premiums. The study will argue that from a security perspective, the complexity of dozens of heterogeneous and constant connections to a car is less ideal than a centralised point of data collection interfaced via an open and interoperable standard that gives the end user total control over access to data. Other use cases may exist where a person is hesitant to relinquish control of the data, but the validity of the data is relied upon by third parties. In digital medical records, there is clear benefit to digitisation of files, however there are serious privacy concerns around ensuring appropriate authorisation, as well as basic information security concerns related to security and data breaches. Under a similar model to what is proposed, patients could personally retain their medical record history and still provide access to medical professionals as needed, without any concerns of tampering from the medical industry; since integrity of the data can be verified by the data fingerprints stored in the distributed blockchain. The study assumes that users will more likely embrace these technological advances if they feel they have a degree of control in how their data is being used, and who can have access to it. 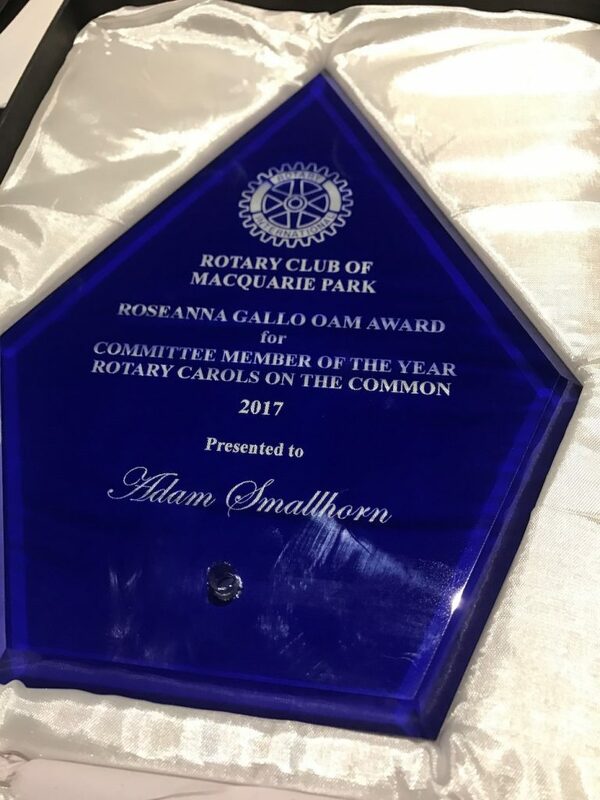 I was delighted to attend the change over meeting of the Rotary club of Macquarie Park last month, and was pretty humbled to receive the Roseanna Gallo award in honour of my contribution to the Rotary Carols on the Common. 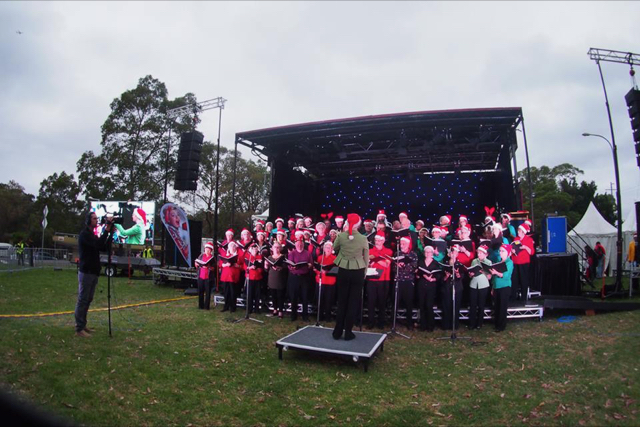 For the past few years I've been assisting with the digital marketing, website and social media presence of the carols - which is the second largest Christmas Carols in Sydney after the carols in the domain. 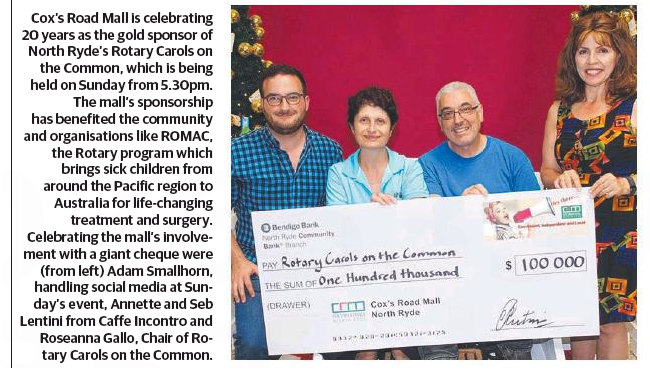 Each year I have been 'live blogging' the event, and working with major sponsors to help secure of $40 000 for local organisations and organisations such as ROMAC, who transport sick children from around the world for life changing surgeries in Australia. It has been a thoroughly rewarding experience to work with a dedicated team and some of the highlights have been the redevelopment of the website and online branding, getting to do live event photography on the night, and all the experience gained creating a tailored marketing campaign for one of the sponsors that resulted in my mug with a giant cheque ending up in the newspaper! Password Security for NGOs, Non-Profits & Mere-Mortals! The following are notes from a presentation I gave at a Cyber Security Workshop for NGOs & Non-Profits along side members of the Atlassian Security team, at Atlassian in Sydney July 2017. The original copy can be found at the Workshop page. And… the French man whose password was 0merde, because that was what he wanted from his technology! 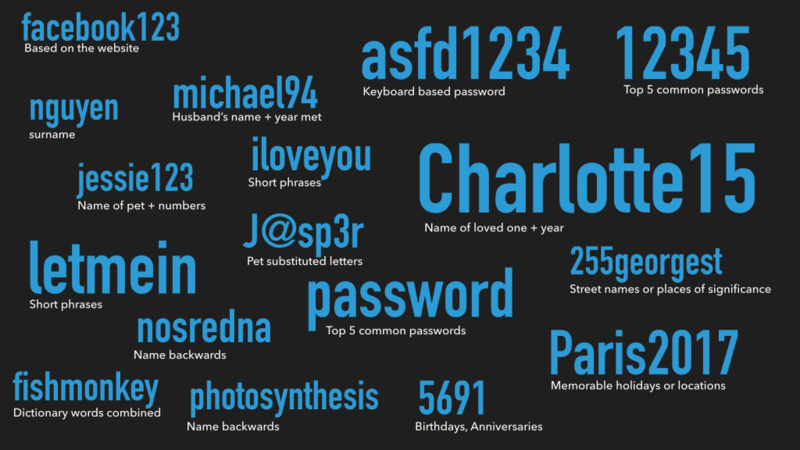 These passwords all have one thing in common… They’re not random. They exude meaning and this makes unsuitable as effective passwords. But let’s be frank – you already know them. For some reason we all understand that what a weak password looks like, but we still continue to use them. Security is always a trade off between security and convenience. 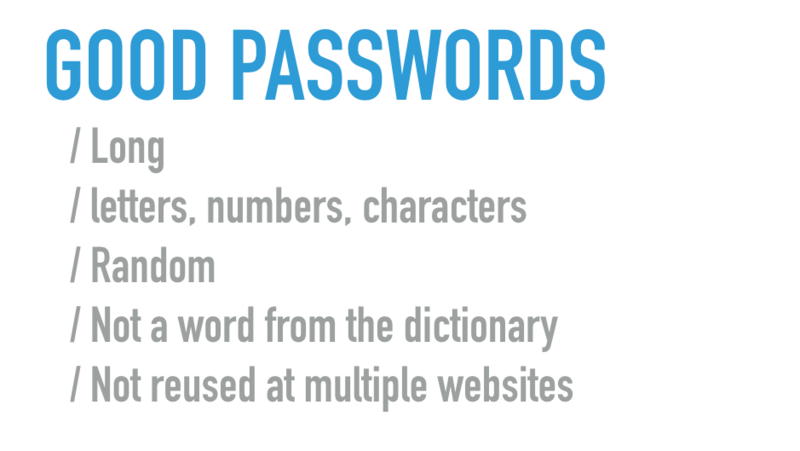 Passwords are frustrating – but there are real consequences of reusing a weak password. One of the biggest problems is that we pick very weak passwords to begin with. We’ve taken some common examples of types of passwords and calculated how long it would take a mindless robot to crack it. In many cases it is fractions of a second. But in some cases it could be much easier – if you choose some of these passwords, your password will be compromised almost instantly simply by learning a few facts about you. Contrast any of these ‘weak’ passwords with a password recommendation by a website or app (in this case a default install of WordPress). Check out the strength of your own password (Take caution entering your password into random sites – this site is okay, but many others are not!). Remember, this is just looking at a mindless robot that knows nothing about you or how humans pick passwords. In reality many passwords can be cracked way more easily. According to password research from Microsoft, the average user logs in to about 25 websites regularly. In a given day we will type our password up to 8 times a day, from a bank of 6.5 passwords that we use regularly. This means that for a single password we are, on average, reusing it on 3.9 websites. This practice is known as password reuse, and is something that can cause havoc even if you have protected yourself by using a strong password. Sooner or later a website or service you use is going to get hacked, and your password will be revealed. It’s tempting to feel like it will never happen to us, but take a look at the services below… and there are plenty more! If you have an account with one of these companies, chances are your details may have already been compromised. If your password is being reused then you open yourself to significantly more risk each time an online service is breached. If you use the same password then suddenly a breach in your WordPress site means your Facebook page is potentially vulnerable, as is your CRM and potentially even your bank account. 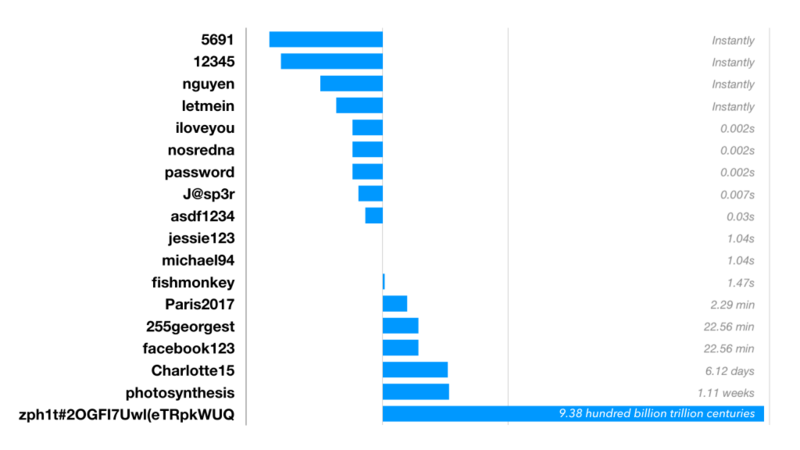 Its worth noting that whilst massive password compromises make the headlines, there is a steady flow of accounts here and there being compromised because of password reuse. What that means is that your accounts could be being compromised without you even knowing it because of your reused passwords. 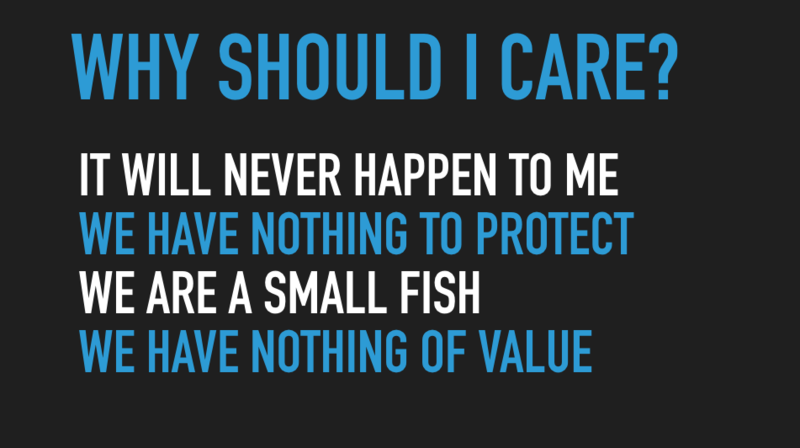 Many individuals, and even some organisations often ask “Why should I care? I’m not a target, and I have nothing worthwhile stealing!“. You can’t go back in time – you may be small now, but in the future you may be much bigger. It is very hard to go back in time and suddenly secure everything that should have been secure from the beginning. Robots don’t care – A lot of the hacking of websites today is fully automated in order to gain control of your server for nefarious purposes. A robot doesn’t care if you are a charity. You may find your server running very slow, and one day you may receive an email from the AFP asking to “please explain” why your server has been implicated with the Russian Mafia in a conspiracy to blackmail some of the largest fortune 500 companies. A credit card is a credit card – Many hackers don’t care what the website is used for, if credit card or personal details flow through it, then your website becomes an attractive target. Script kiddies & Hactivists – Script kiddies are digital vandals who will deface a website they come across, purely as an exercise, and because they can. More broadly, we are all one rouge employee away from a PR nightmare that could suddenly thrust us in the focus of global internet hactivists. These situations often come without warning, and by that time its too late to put any meaningful protections in place. Mandatory disclosure laws & Reputation – Many countries, Australia included, are enforcing mandatory disclosure laws of data breaches. Not only is it massively embarrassing to suffer data compromise, it can present significant damage to brand reputation and lead to significant legal consequences. The universally accepted solution to the password problem is password managers. It seems paradoxical – computers are massively vulnerable devices, so the solution is to put all the confidential details in a single basket and store it on the vulnerable computer itself!? Despite this, security professionals unanimously agree – password managers are the safest way to conveniently remember all your passwords. To understand why, let’s first consider what we want a password management system to do. LastPass, 1Password, and Dashlane are examples of top notch password managers. They allow you to store and generate very strong and very random passwords for all your websites. They are convenient because they support password autofill on most websites, as well as copy and pasting as a backup. They are very secure because all your passwords are encrypted with very strong AES-256 bit encryption using a single master password. The master password is the only password you need to remember, and as long as long as it is sufficiently strong, it will take centuries to decrypt your passwords. 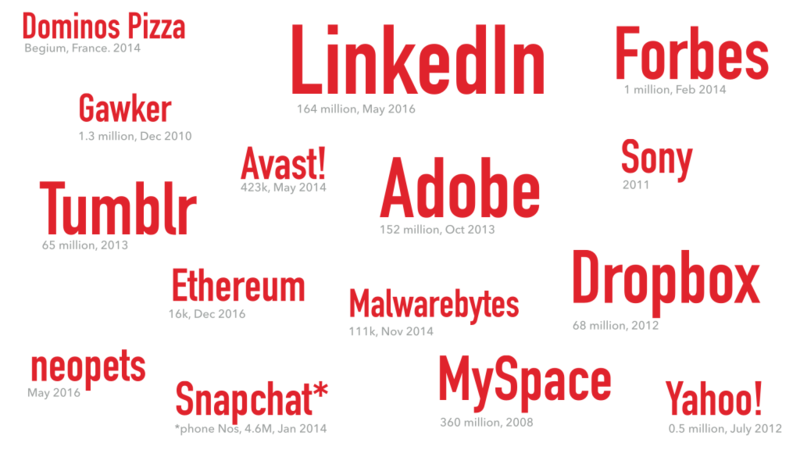 All of the data that gets synced via the cloud is fully encrypted, so even if an employee at one of these companies wanted to look at your passwords, all they would ever see is an encrypted blob. 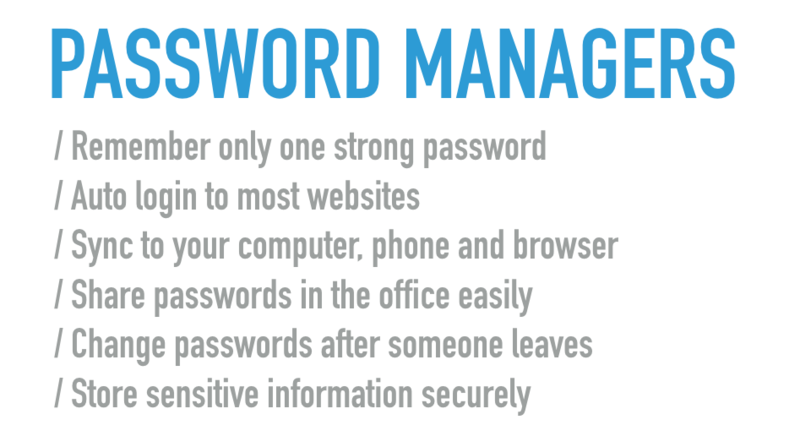 In fact, password managers have some benefits too. Login Easy – Often it is easier to login with a password manager as you can use a fingerprint reader on your phone or computer, which is quicker than typing and retyping your password. Autofill Credit Cards – All password managers also support secure storage of your credit card details and a quick auto fill feature when you want to enter those details quickly. Secure other important documents – Many also include a feature to store secure notes, and upload important files. This is a perfect spot for sensitive files like photocopies of your passport and credit cards. Share passwords hassle free – Password managers are excellent at sharing passwords with volunteers and employees and are even better for updating passwords. It is important to change passwords after something like a employee moving on, but without a password manager it is a hassle to tell everyone the new password. If your organisation fully embraces password managers, then normal employees auto logging in via a password manager won’t even notice when the password has changed. LastPass is a very good option for most people, however you can read more about some of the secure, and popular password managers. Password managers can be an incredibly secure option – only if they are protected with a strong master password. Since our master password is going to be so important, it needs to be strong, but it also needs to be memorable. There are a few common methods for coming up with a password. Abbreviated passphrase – Similarly to the passphrase method, this time come up with a longer unique phrase (or even fraction of a song that you frequently mishear) and choose the first letter of each word. Be sure to include capitals, numbers and symbols. For example “My dog (Jasper) always likes to eat green oranges when I forget to feed him!” would become “Md(J)al2egow1f2fh!”. This password would take 1.28 trillion centuries to brute force. XKCD password – This password method became popularised by a popular the popular web comic XKCD which first proposed the idea. It proposes choosing 4-5 random words, building a mental picture of them all to aid memorisation and then joining them together to form a password. For example you might choose the words dog, beaker. candle and cheese; then picture “a dog pouring liquid cheese into a beaker to make a candle” to help you remember, then decide that your password will be dogcheesebeakercandle. You should then add some capitals and symbols where possible to create your final password – D0gCheeseBeakerCandle. Which will take 1.41 hundred trillion centuries years to brute force. Password padding – This password method is a way of adding more security to an already secure password. It assumes that you already have a secure password, and without it this method is not secure at all. The idea is to take you existing password and to make it more resistant to brute forcing by adding a fixed number of symbols somewhere in the password. Take for example the password Md(J)al2eg , which takes 1 week to brute force. 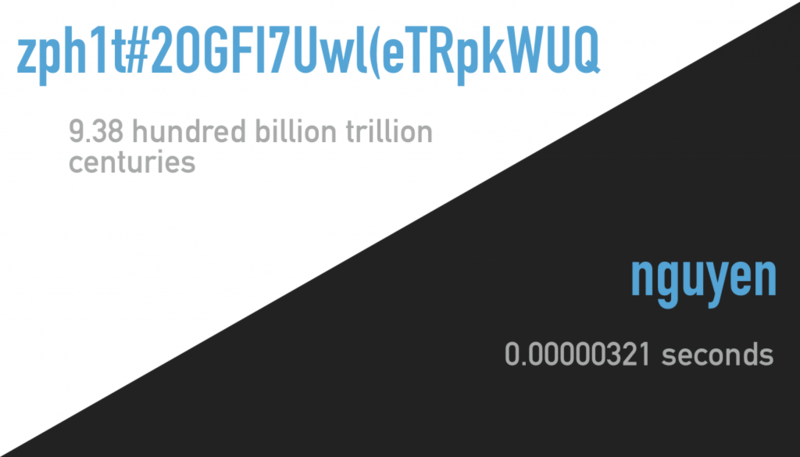 By adding 10 fullstops (or exclamation points, or commas, or ampersands etc) to the end of this particular password, we can raise the time to brute force it from 1 week to over 11.52 thousand trillion centuries. Reusing the same password – Regardless of how secure a password is, if it is leaked then an attacker can reach all your other sites with ease. Filling out reset questions with real answers – Strong passwords are easily bypassed by initiating a password reset and answering security questions based on easily obtainable information. The best practice is to disable password reset questions, or to fill them with random data which you can record in your password manager if you ever need them again. Storing it in the notes app on your phone, or a text file on your computer – Since most apps aren’t designed with security in mind, storing passwords in a notes app or excel file means that passwords are easily found if your computer ever gets infected by a virus, or even just accessed by someone unauthorised. Also unexpected behaviours result from these methods, such as files being synced unexpectedly to new devices, or password documents being backed up elsewhere without our knowledge. Writing it down on a piece of paper – Truthfully this depends on your situation and organisation context and the types of threats your organisation faces. If you live alone, are at low risk of burglary and the passwords protect relatively trivial things, then storing your passwords in a diary in your bedroom bottom draw is probably lower risk than reusing the same password. However if this diary is carried around in a purse or a password is stuck to a monitor in a busy reception office, then you might wan to think twice. Regardless, both these options lose out on some of the convenience benefits of using a password manager, so it is a easy decision to make. Second factor Authentication is an insurance policy to protect your most important accounts from being compromised. Perhaps you have been a little lax with creating unique passwords for every single site. Imagine if a password breach from a random online forum you signed up for allowed an attacker to log into your email. If she has access to your email, she could easily reset passwords for many other accounts. What other services could she get in to if she had access to your email? Second factor Authentication is the technology that would prevent a hacker getting access to your emails in the first place. SFA is an opt-in technology which (usually) gets you to go through a one time setup procedure where you install an app on your phone. Whenever the app detects that you are logging in from a new computer, it asks you to provide the current code from the app in addition to the password. Even if the hacker knows your password, it is not possible to predict the unique code from the phone app, so the login is prevented. You are probably most familiar with it in the form of a SMS message required when you try to send an amount of money via netbanking, though it is worth noting that using SMS for this is now not recommended. These services usually require you to download an app on your phone or computer, and add a website by scanning a QR code. This will register the website in the app and provide a new unique 6 digit number every 30 seconds for logging in. Password hacks are occurring all the time. The most important thing to do in case of a password breach is to change your password as soon as possible – as attackers will turn at once to trying to ‘decrypt’ your password so they can use it to login to your accounts. Hence it is very important to get information as soon as possible about potential password breaches. Many websites will send you a notification in the form of an email if they suspect your account details have been compromised, however to get out on the front foot there is haveibeenpwned.com. 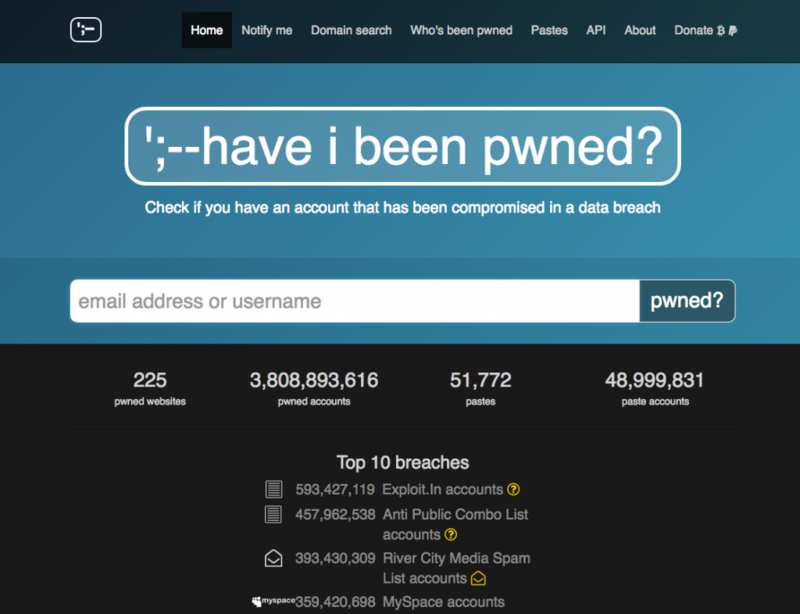 Haveibeenpwned collects all the massive password dumps that occur on the darknet and provides a convenient way to discover whether your information has been compromised by entering in your email address. The website also allows you to signup for notifications in the future if your details are ever detected in the future. I had the pleasure of tutoring the Security Engineering subject at UNSW this year, and as a part of that experience I recorded a few resources to assist students understanding some of the security essentials. They were pretty fun to record, but next time I would probably edit and condense them down a bit – as I only had a morning to record all these. Nonetheless the students seemed to appreciate them! This is an extended version of an article that appeared on the 22nd May 2017 in issue 130 of Beta – the student newspaper for the Computer Science & Engineering student society of UNSW. To understand the importance of security in today’s world, you only need to compared it to the 1983 film “Wargames” – a film about nuclear missile control vulnerable to hacking. In 1983, if you wanted to make a film about the dangers of hacking, you needed to convince the audience that hacking computers could actually cause real-world damage. In 2017 nobody needs convincing – our news is filled with the latest attacks; from businesses to hospitals all the way to the failed North Korean Missile tests. Security will be one of the defining issues for the next decade and our biggest problem is that we are inherently bad at it. The nature of the human condition combined with a lack of foresight in the past has allowed poor security to flourish with no easy solution. In the days of the 1983 film ‘Wargames’, there was very little critical infrastructure connected to the internet – today our hospitals, power grids and financial networks are all connected and potentially vulnerable. Even as individuals we unwittingly make ourselves vulnerable to attack – are all your passwords unique? 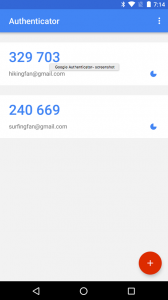 How many apps have access to your Google mail account? Do you isolate cheap electronics on your home network, or connect them without thinking? The solution to the ‘security problem’ is not a purely technical one – but the development of a security mindset. 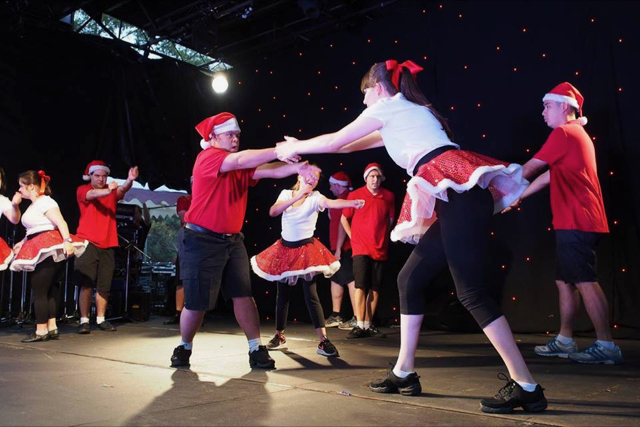 At UNSW we have the philosophy that in order to be a good defender, you must understand the techniques of a good attacker. 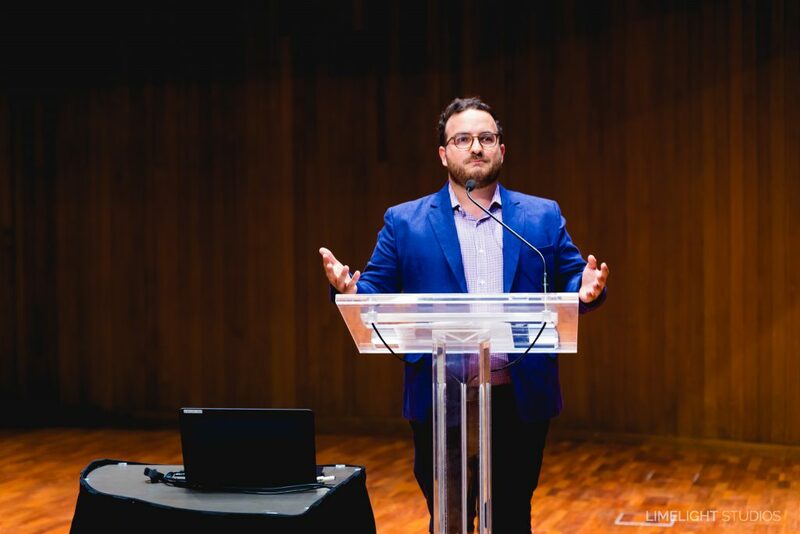 We ought to know – UNSW once again secured 1st place in CySCA (a federal sponsored hacking competition) – a feat we have managed every year since the competition’s inception. But this ‘hacking mentality’ is not just a UNSW idea; it is the prevailing thought of the entire security industry. How can you get involved? 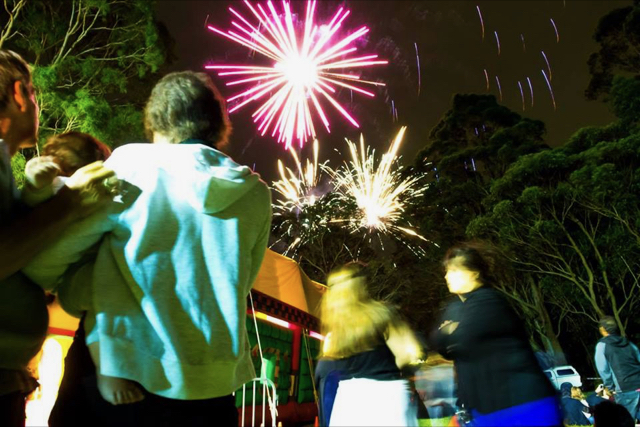 You are at the best university in Australia for Security, so take advantage of it. Every computer scientists should graduate university with an understanding of how to write secure code as well as think like an attacker, so enrol in a security course before you graduate. I encourage you to do your own investigations in the security space as well. But most importantly, take advantage of the community we have here – Get involved in a Capture the Flag (CTF) competition where you can refine your hacking skills in a simulated environment, and join the security society to help you learn and get involved. Security is not just about technical ability – it’s every bit as much about getting inside the minds of system designers and challenging their assumptions. The key to the best defence is a security mindset, and there has never been a greater need for it than right now.